Film also included in top 10 best films list of 2014. Russian director Andrei Zvyagintsev’s drama Leviathan won the award for Foreign-Language Film of the Year from the London Film Critics’ Circle, reports TASS news agency. At the 35th annual awards ceremony, which took place in London on Jan. 19, the movie competed in the foreign language film category with Ida by Polish director Pawel Pawlikovski, Norte, The End of History by Filipino filmmaker Lav Diaz, Two Days, One Night by the Belgian Dardennes brothers and Turkish film The Winter Sleep by Nuri Bilge Ceylan. Leviathan is also sixth on the London Critics’ Circle’s list of the 10 best films of 2014. 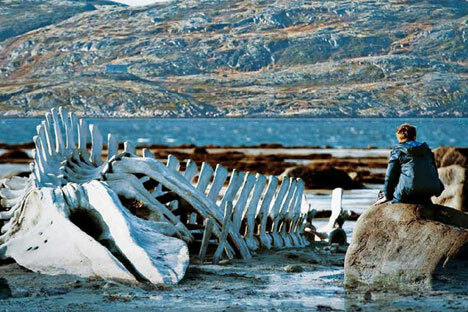 Already Zvyagintsev’s latest work has been a triumph in Europe. In October 2014 it was awarded the prize for Best Film at the 58th London Film Festival, several months after the drama won the award for Best Screenplay at the 2014 Cannes Film Festival. Leviathan has also been a success in the U.S. It won the 2015 Golden Globe award for Best Foreign Language Film and is now is nominated for an Oscar in the same category. At the 87th annual Academy Awards ceremony, which will be held at the Dolby Theatre in Los Angeles on February 22, 2015 Leviathan will be in competition with Ida, Mauritanian director Abderrahmane Sissako's Timbuktu, Argentine filmmaker Damian Szifron's Wild Tales and Tangerines by Georgian auteur Zaza Urushadze.